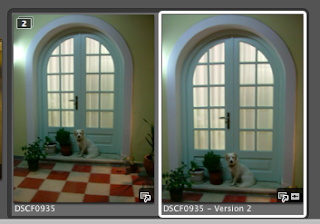 Cropping photos is easy in Aperture. Like most things it only involves a couple of clicks and doesn't take long to do. 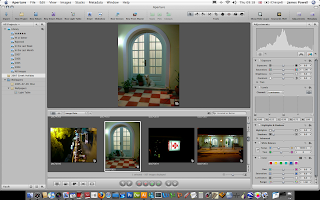 The first thing you need to do is open Aperture and find a photo you need to crop. The next step is to select the crop tool. This is located in the tool bar. Drag a box around the part of the image you want to crop. The lighter sections will be kept. The darker sections will be removed. The floatable HUD does have built in options for preset sizes. For example if you look at the image below these are all the sizes you can use. The select box changes to which ever size you select. 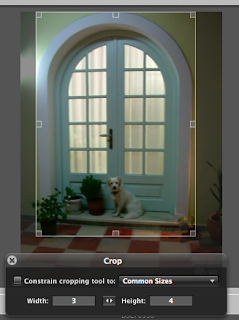 Pressing enter or selecting another tool crops the image and create a new image in the stack. This tool is easy to use and you can crop all your image in no time. You can read the rest of the series here.